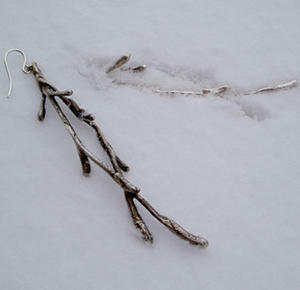 with casted twigs from birch tree. The whole length of the earring is 10cm. OBS! The price is for 1 piece!